I’m sure that, had I posted this 20 years ago I would have been classed as a geek, an idiot or perhaps a bit of a visionary. There can be no doubt that the internet has completely changed the habits of the world. No longer do you have to go to the supermarket for your weekly shop, or the local takeaway for a curry. Furniture and appliances can be purchased from the comfort of your own armchair, your car, or indeed from anywhere that has some form of internet access with the use of an app running on your smart phone or tablet, in fact the use of mobile internet is so huge now that the major search engines are now advising all website owners to make sure that their websites are mobile friendly. The latest innovation is internet connected heating controls. You can now connect to your home heating system via an app to have your home warm and comfortable when you step through the door. A great example of these controls are the Drayton MiGenie range of internet connected programmers. By installing one of these devices you no longer have to come home to a cold house or spend hours fiddling with timer settings that may or may not work. The system uses a room thermostat, a programmer connected to your boiler, and an internet gateway that plugs into your router. Installation is straightforward and once you have installed the app on your phone or tablet, you have the ability to control your heating from just about anywhere that has an internet connection. The big question ? is this just the tip of the iceberg ? How long will it be before you can come home from a hard day at work to find that the casserole is ready to serve, your favourite coffee has just been poured from the machine, TV on your favourite channel and your bath has been filled with just the right amount of water at the correct temperature, all controlled from your phone ? Technology is racing ahead and I can foresee a future where you can pick the colour of your home decor on a daily basis or have your favourite movie showing on your front wall, your windows would show a hot summers day outside when it’s actually snowing. 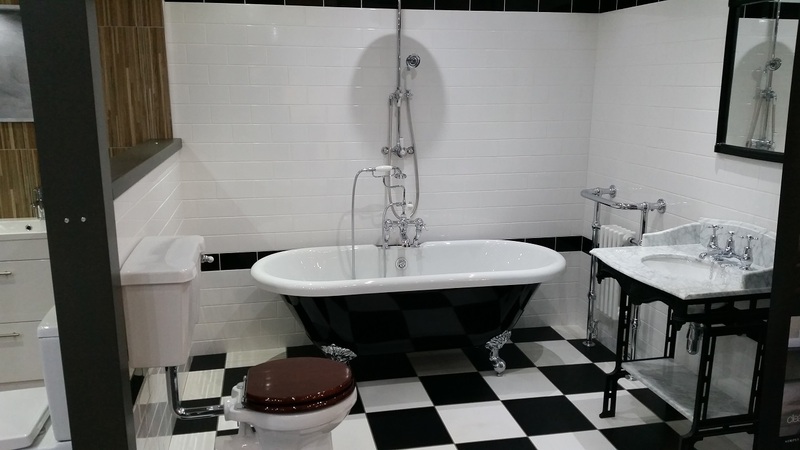 The bathroom designs of the UK are an insight into the psyche of the nation. Our Bathroom Suites define us to an extent, everything from the arrangement of our bathroom cabinets to the placement and type of tap. 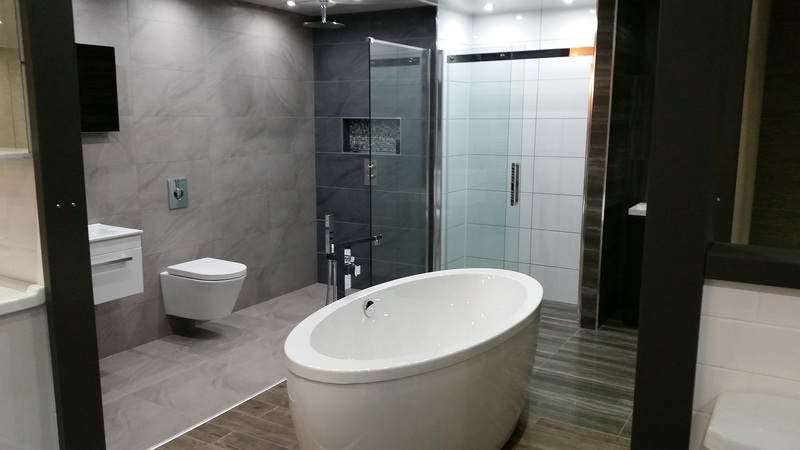 What does your bathroom suite say about you? When it comes to issues that really divide people, forget The Beatles vs Elvis, Labour vs Conservative or Rocky Road vs Mint Choc Chip – The real issue is Shower vs Bath. If you are thinking of changing what your bathroom says about you, you would do well to know for sure which of the following you are. Seen as the hedonist of the washed peoples of the UK, The Bather values their luxury and relaxation time. Bathing isn’t a chore, it’s a treat. Something to savour and enjoy, a haven of tranquillity away from the hectic world. Bathers often plan their ablutions for the evening time to take advantage of the bath’s power to unwind the human soul and soften tight muscles. Bathing in the evening time also lends itself to gentle music and perhaps a glass of wine. When visiting friends or family you can always tell if you are in the house of a Bather. 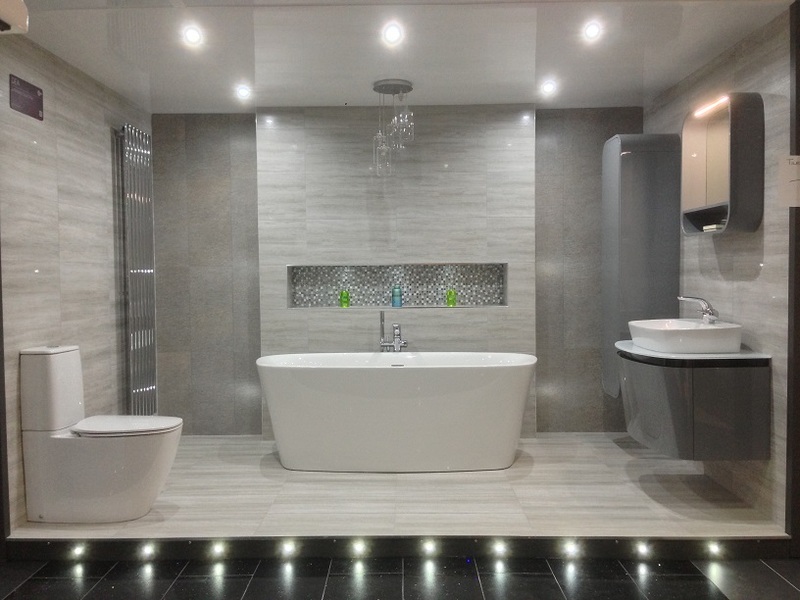 The atmosphere of their bathroom suite will be calm, the colour scheme neutral perhaps featuring natural stone or slate, and the bath will be prominent with obvious regular use. There might be a shower there as well but, for Bathers, it is all about the bath. Large, free-standing roll-topped baths or an integrated television placed for optimal viewing are both tell-tale signs. The television is such a big hint that many Bathers opt for the nifty ones that are mirrors when switched off – just to keep would-be bathroom detectives on their toes. Only someone serious about bathing would invest in one of these. Pulsing jets built into the side of the bath, a ledge or well-placed table big enough for a wine glass and strategically placed taps are all clues to the existence of a Bather in the household. Showerers are a different breed. Sitting in warm water for the purpose of cleaning oneself or relaxing is frankly alien. This is not to say that the Showerer doesn’t know how to relax, they just don’t combine it with washing. They prefer the blood-pumping energy bestowed by the jets of a proper shower enclosure. The wake-up jolt that kick starts the day and the satisfying post workout power-cleanse are highly prized. Generally more of a morning type, Showerers are busy people and have little concern for the placement of bath taps, or indeed what sort of bath it is. Showerers clearly have no use whatsoever for visual entertainment in the bathroom so features of that type would generally not be present. To the Showerer, the bath is a functional necessity to wash the kids, or the dog, or for guests to use if any those Bather types should come and stay. Make no mistake however, Showerers are not barbarians when it comes to the bathroom suite. Great care is taken around layout and functionality. They have bathroom ideas akin to Feng Shui, where bathroom cabinets are placed properly and efficiently and thought has clearly been given to the location of the heated towel rail. Above all Showerers are concerned with the technology, space and utility of their beloved shower. Shower enclosures fitted out with a multi-nozzle power shower is a sure sign that you are in the home of a Showerer. Or a fully-tiled shower enclosure with high-spec fittings and a top-of-the-range shower screen are also a good clues. Be you a Bather or a Showerer, you should always design your space around the way you use your bathroom. If you’re a bather, why settle for a pokey, old and uncomfortable bath that you can’t wait to get out of? Consider what makes you a Bather and build upon that. So opt for the integrated entertainment system and built in spa jets. Say yes to the purpose built cabinet containing a bottle of wine and a glass set in reach of your reclined position. Why not? And if you’re a Showerer, why put up with huddling under a luke-warm dribble when you could be invigorated and energised standing under powerful jets of hot water, surrounded by stone tiles and shower screens that keep the water from splashing where you don’t want it to. There is a Bathroom Suite for everyone. Find yours today. It may be hard to believe but the bathroom is one of the most used rooms in your house. Be it the family bathroom, en suite or cloakroom, the fact is that the act of keeping yourself clean makes your bathroom dirty!! It is important to keep these spaces clean and hygenic so you can relax in a hot steamy bath without worrying about grime and nasty bugs. First store anything that isn’t in regular use away in cupboards or drawers to prevent them attracting dirt. If you don’t like to use strong chemical cleaners, try wiping your surfaces over with a solution of white vinegar and water, it cuts through soap scum and grease, is anti bacterial, bio degradable, and the vinegar smell soon vanishes. If you prefer to take the greener approach add a pinch of bicarbonate of soda to the mix, the resulting solution is a great all round cleaner, use an old toothbrush dipped in the solution to remove grime from around taps and other hard to reach places. For light cleaning a simple mix of water with soap or washing up liquid will do the job. If you have wood furniture in the bathroom, a quick wipe with olive oil or sunflower oil will not only lift the dirt but will leave the wood with an attractive sheen while baby oil does a great job on stainless steel. Strangely enough, a bottle of Cola poured into a stained loo and left to soak will produce a sparkling stain free finish. Start from the top and work down, clean the walls ( tiles can be cleaned with a mixture of either water or vinegar and bicarbonate of soda then a quick polish with a soft cloth will leave them sparkling) and any ceiling cladding first, move onto any furniture, glass (shower enclosure), and ceramics not forgetting the shower taps and light pulls, these are the most touched items in the bathroom and are major culprits in spreading germs. Finally clean the floor. 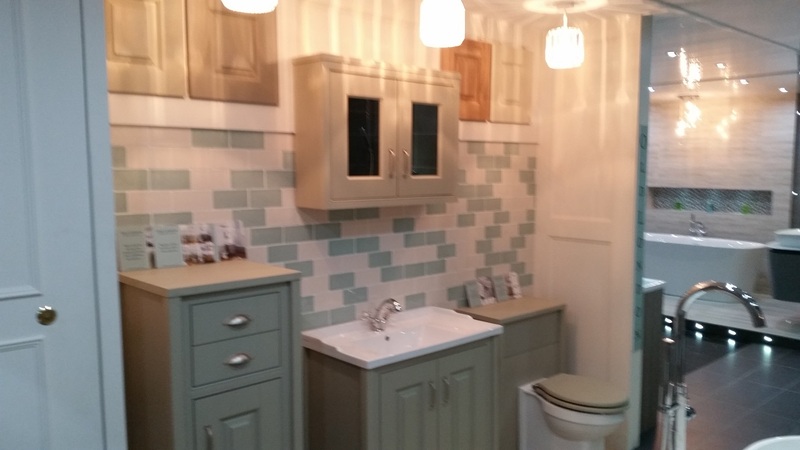 Once upon a time a bathroom was just….. well a bathroom. No one paid it a lot of attention, it was functional and that’s about it. 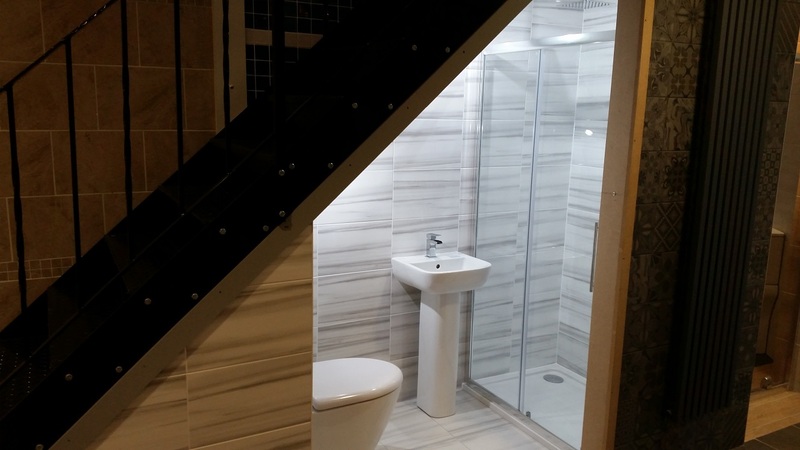 Nowadays the bathroom is acknowledged by property experts as one of the main factors, along with the kitchen in selling a property, and little wonder with the vast array of taps baths showers and towel rails now available. It really is so easy to customise your bathroom to look just like you want it . Although they are classed as easy to install, go anywhere showers, electric showers should always be installed by a Part P-certified plumber or electrician, as they’ll understand the electrical engineering necessary for such work. An electric shower requires plumbing only to a mains cold water supply with 15mm diameter pipe. The electrical supply is more complicated, however. The high-power electrical element (between about 8.5kW and 10.8kW) is similar to that of a large kettle, heating the water as it passes through. It will require connection to a separate fused electrical supply circuit. The size of the cable and fuse will depend on the electrical power (in kW) of the shower, but 10mm2 cable is recommended, as this would mean you can replace the shower in the future without having to install a larger cable. For safety, you’ll need a ceiling-mounted double pole switch (with neon and mechanical indicators) to turn the electricity supply to the shower on and off. Follow these instructions and you will be assured of safe, comfortable showering for many years to come. There are four types of shower, Electric, Mixer, Power, and Bath Shower Mixer. The Electric Shower is the classic go anywhere shower, all you need is a space with a cold water supply and electricity supply. It is important that an electric shower has it’s own circuit breaker in the fuse box. Power showers are electric showers that have a built in pump to increase the flow rate at the shower head. The Mixer Shower needs a hot and cold water supply, they don’t usually need electricity, the exception beong the Digital Mixer Showers. Some mixer showers feature thermostatic control. With these showers there is a thermostatic element that is pre programmed with a safety cutout (usually at 38 degrees C) This is a vital factor in avoiding the risk of scalding – Vital where there are children or elderly people in the home. Mixer showers come in 4 styles. The exposed valve [EV] , with this option the shower valve is mounted directly onto the wall. The Built In Valve [BIV] with this option the valve is built into the wall and only the controls are exposed. The Built In Riser [BIR] with this option the shower head is fitted directly to the wall, there is no riser rail. The Bath Shower Mixer this option is ideal for small spaces, the shower mixer replaces the standard bath taps and a lever switches the water supply between the tap and the shower head, which can be used as a hand spray or can be fixed to a wall bracket. They are available in traditional or thermostatic options. Whichever shower style you choose, you will find a comprehensive selection at our site www.instockbathrooms.com where we believe you will also find some of the keenest prices on the internet. Now the fun begins, select the items you want for your bathroom, Take into account the sizes, whether you want an electric or mixer shower and the plumbing situations for that and the bath, basin, and taps. Find out what your water pressure is, there is no point in trying to fit a high pressure shower or tap to a low pressure system. As a general rule of thumb, if you have a combi boiler or pressurised tank you have a high pressure system, anything else should be considered as low pressure. When you are sure that your preferred items meet the requirements for location and plumbing it’s time to buy. Make sure that you have the items delivered before you book a plumber, I get worried phone calls every week from people wanting advice on delivery as they have already booked a plumber. 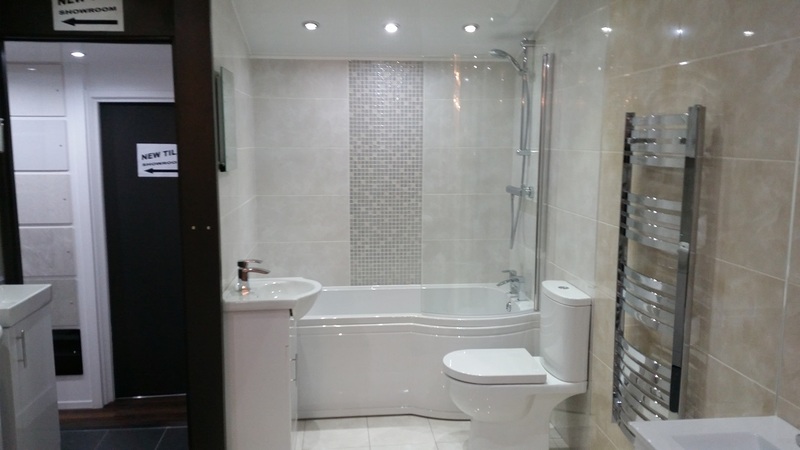 In Stock Bathrooms helps to take this worry away with our fast delivery service. When the big day arrives and your new bathroom has been installed, you can look forward to years of luxury bathing, with the minimum of hassle. Fitting a thermostatic shower may sound like a complicated task and is one that should really be carried out by a qualified plumber but, if you are a competant DIY’er by following our easy step-by-step guide, you’ll be enjoying an invigorating shower in no time. This article includes a full list of the tools and equipment you’ll need to fit your own shower. The traditional mains-fed shower can be a liability. One flush of a loo or turn of a hot tap can leave you under a torrent of scalding or freezing water. Thermostatic mixer showers allow you to preset the temperature you want to shower at and then maintain that temperature — regardless of innocent, or malicious, water use elsewhere in the house. Many thermostatic mixers can be used with pumped systems, gravity, standard mains pressure or combination boiler-fed supplies. But check with the supplier that the one you want is compatible with your water system before you buy. There are many different styles of thermostatic mixer available but there are really only two distinct types: surface-mounted or recessed. With surface-mounted units the whole valve attaches to the face of the wall and the hot and cold pipes are either run up the wall to fix underneath the unit, or come through the wall to attach at the back of the unit. With recessed units you just get to see the controls, while the valve and water connections are concealed, normally behind a plate that’s supplied with the kit. For this feature we’ll be fitting a surface-mounted valve, but the basic principles are the same for a fitting a concealed valve. Thermostatic shower kits cost from £80 upwards and a plumber will charge you around £100 to fit one. Follow this guide and you can get the job done in a day for free. 1. Decide where you are going to take your hot and cold supplies from. If you are fitting the shower above a bath then you can tee into the tap supplies. If you are fitting the thermostatic shower to a separate cubicle you can tee into the nearest hot and cold pipes. These are often found under floorboards, or, as here, concealed in a cupboard. To check which is which, trace the pipes back from the nearest hot and cold taps. You can feel the flow of water through the pipe with the tap running. Run each tap in turn — the hot water pipe warms up very quickly. 2. Before you start work on the water system you’ll have to isolate the supply. Turn off the stopcock (often positioned under the sink) and then open the hot and cold taps to drain away the water in the pipes. 3. Tee into the hot and cold supplies and run the pipework towards the shower. Check the instructions that come with the valve and make sure that you feed the hot and cold supplies to the correct sides (normally hot left, cold right). Plastic pipe is the easy-to-use plumbing solution for running under floorboards and up behind stud walls. Always use pipe inserts at joints to stop plastic pipe deforming. Include a shut-off valve on both hot and cold supplies as close as possible to the shower.We’ve found it’s easier to tighten up compression-type joints (used with these shower valves) on a copper pipe. So slot in a length of copper pipe at the end of your plastic pipe runs. Put plastic stop ends on these pipes, turn the stopcock back on and check for leaks on the new pipe runs. 4. Thermostatic shower valves can be damaged if there is any dirt in the water flowing through them. To avoid this you should flush the new pipework through. Turn the water off, remove the stop ends and ask someone to hold a bucket under the outlets while you briefly turn the water back on. Shut the stopcock off when you have finished flushing. 5. Offer up the shower valve and mark off the amount of outlet pipe required to allow the valve to fit flush to the wall. 6. Cut both outlet pipes to length. A circular pipe slice-style cutter works brilliantly in tight spots. 7. Mark off and drill the holes for the thermostatic valve. If you are drilling into tiles use a diamondtipped tile drill. Drilling into tiles creates a lot of heat so we used a kit with a water-cooled drill guide that created perfect holes very quickly. 8. Put a collapsible olive into each inlet on the thermostatic shower valve and secure by screwing the retaining nut on by one turn. 9. Align the shower valve with the supply pipes and make sure they slide into the inlet pipes fully. Screw the valve to the wall and then tighten the retaining nuts with an adjustable spanner. Make sure the shower tap is turned off and then turn the stopcock back on and check for leaks at the inlet pipes. 10. The flow of mixed hot and cold water from the thermostatic shower valve is taken to the shower head either by a conventional flexible shower hose that screws into the top of the valve, or by a solid riser pipe. If your kit uses a flexible hose all you have to do now is connect it up and fit the bracket that holds the shower head in place. This kit has a solid riser pipe. It was supplied over length to suit different-height ceilings. If you need to cut your riser rail down, first measure the depth of the recess that the pipe sits in on the thermostatic valve and then on the bracket that secures the top of the riser. 11. Put some double-sided tape on the top bracket and stick it at the height you want it to be above the shower valve. Now measure between the bottom of the bracket and the top-mounting nut on the valve. Add this measurement to those you made in step ten and cut the riser pipe to this length. Cut the pipe with a pipe cutter, not a hacksaw. 12. Trial fit the riser pipe between the valve and bracket. Make sure the pipe is vertical using a spirit level and then mark off the top-bracket mounting holes. Drill and plug the holes. 13. Fully fit the riser and tighten the nuts top and bottom. Some kits feature an extension piece that attaches to the riser’s top bracket and takes the shower head. Fit this and then screw on the shower head. Run the shower and check for leaks. Make sure the thermostat works by switching on taps and checking that the shower temperature remains constant.